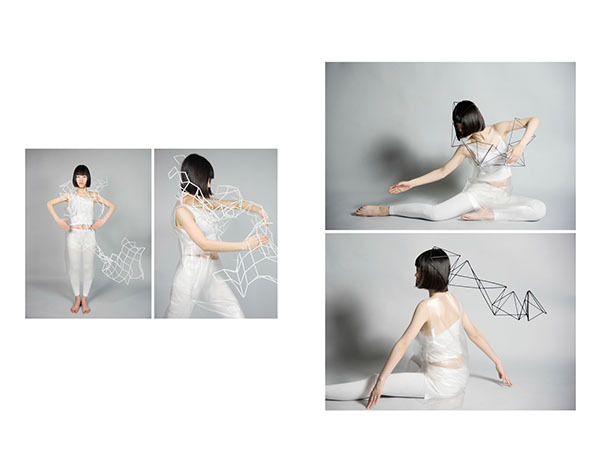 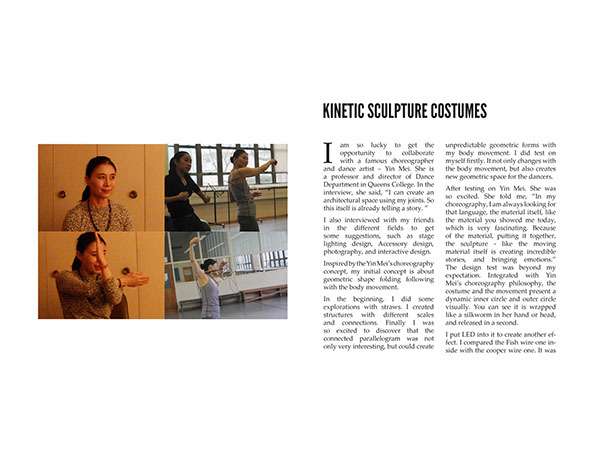 “Kinetic Sculpture” Costume communicates emotionally through the body movements of the dancers. 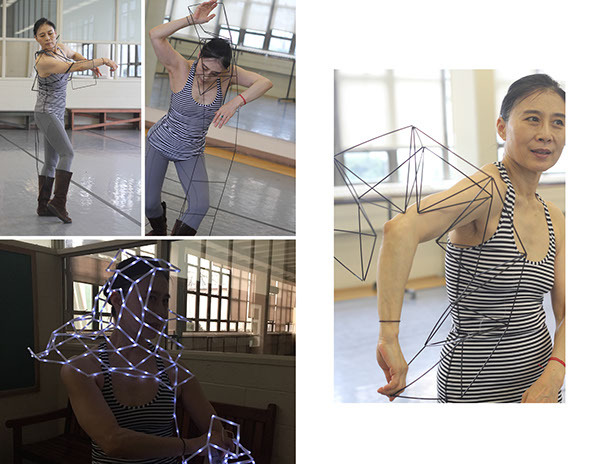 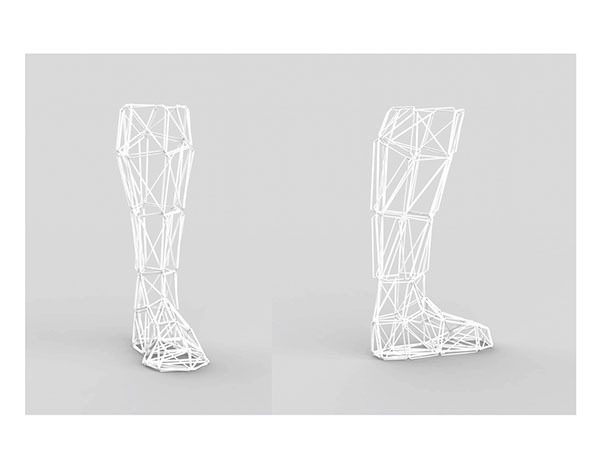 It not only presents dynamic forms like a Kinetic 3D Sculpture, but also creates new geometric space for the dancers. 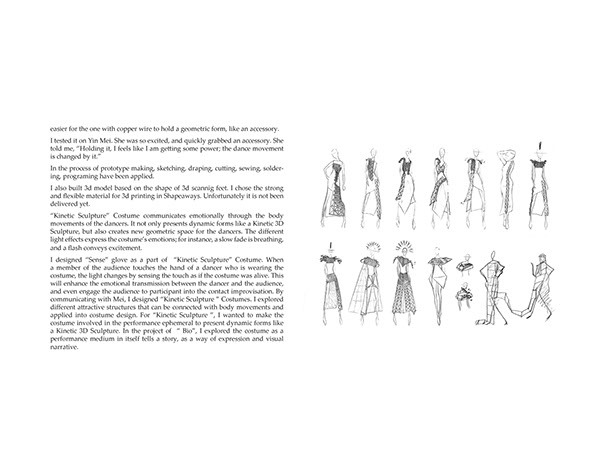 The different light effects express the costume’s emotions; for instance, a slow fade is breathing, and a flash conveys excitement. 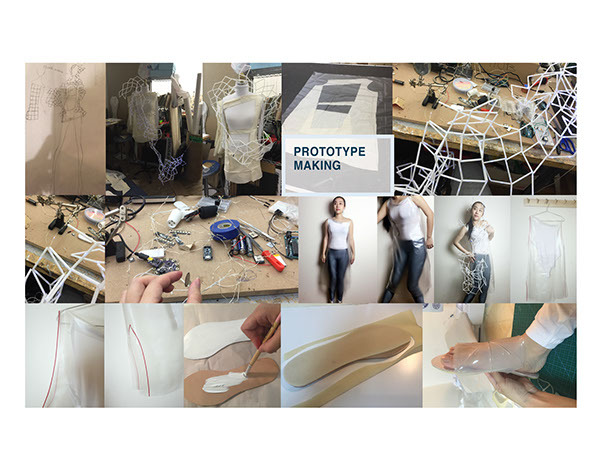 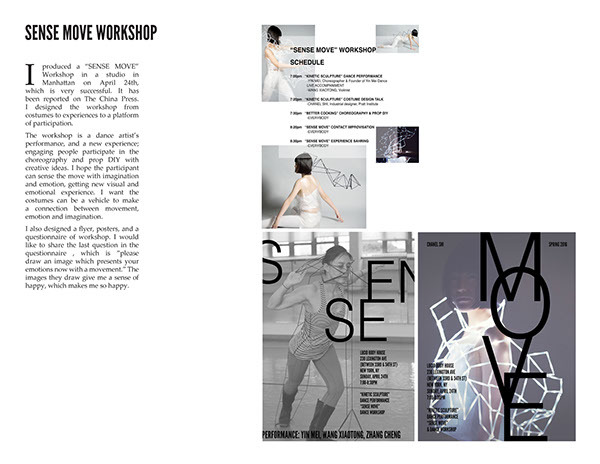 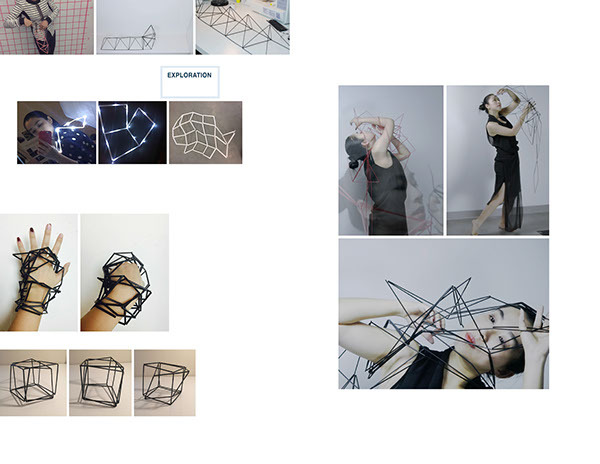 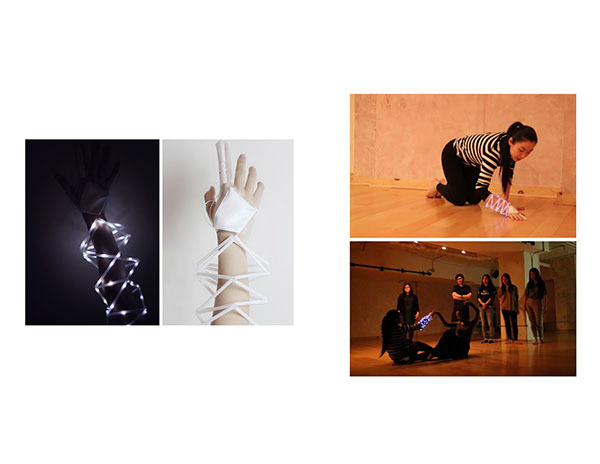 I designed “Sense” glove as a part of “Kinetic Sculpture” Costume. 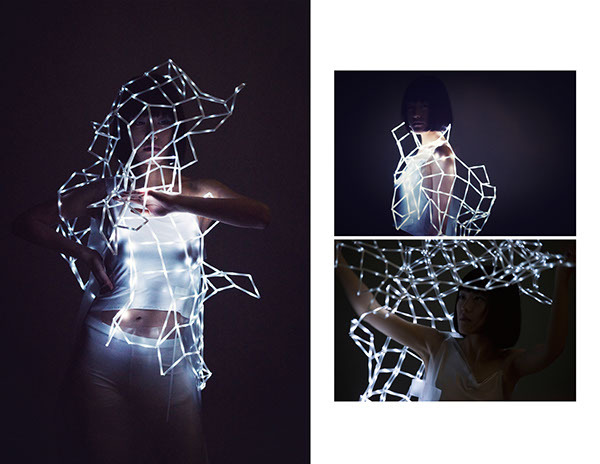 When a member of the audience touches the hand of a dancer who is wearing the costume, the light changes by sensing the touch as if the costume was alive. 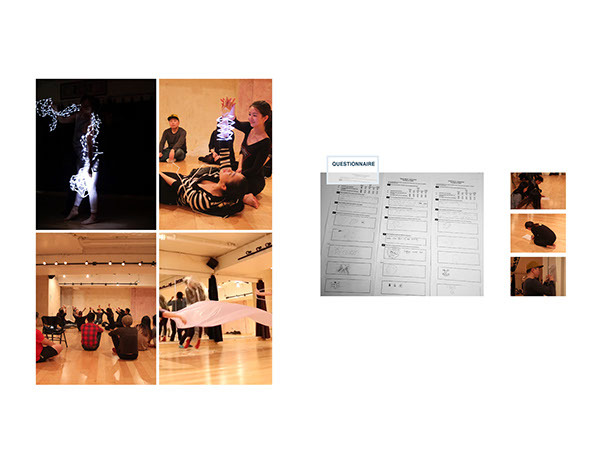 This will enhance the emotional transmission between the dancer and the audience, and even engage the audience to participant into the contact improvisation.